In this decade Yorkshire kissed goodbye to Bramall Lane as a cricket venue, and waved goodbye to cricketing silverware, as well as bidding farewell to the admirable Brian Close. Oh well, there was still always the consolation (in theory) of an engagement against Lancashire to galvanise our under-performing troops. During this decade: Yorkshire won 5, Lancashire won 2, 13 draws. YORKSHIRE versus Lancashire; at Headingley; 23, 25 and 26 May 1970; Lancashire won the toss. Farouk Engineer took seven catches and hit eighty-seven undefeated runs as woeful Yorkshire were put to the sword. Lancashire versus YORKSHIRE; at Old Trafford; 29, 31 August and 1 September 1970; Lancashire won the toss. Yorkshire's first innings was dominated by two England team-mates who loathed one another, Boycott and Hutton! Lancashire versus YORKSHIRE; at Old Trafford; 29, 31 May and 1 June 1971; Lancashire won the toss. When 'chasing' a 165 target, Yorkshire could only amass 103 off 51 overs. David Bairstow took nine catches in this match. YORKSHIRE versus Lancashire; at Bramall Lane; 31 July, and 1, 2 August 1971; YORKSHIRE won the toss. 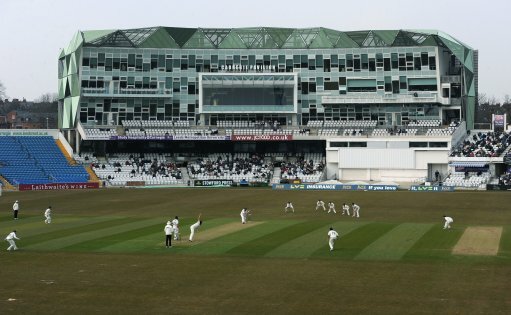 Yorkshire were in the ascendancy here, but even they couldn't defeat the Sheffield weather. Had this contest extended for a few more hours, a nailbiting battle of the roses was in the pipeline. That Lancashire icon Jack Simmons destroyed the Tykes with ten wickets and 3 catches. Yorkshire yielded seven ducks! Lancashire were denied a certain win by the weather after the shambolic visitors collapsed from 23-1 to 69 all out. Eight Yorkshire batsmen and six Lancashire batsmen were dismissed for a single figure score in this bizarre encounter. The two Lloyds, Clive and David, hit 264 runs between them while Yorkshire never came close to the 244 target. Dave Bairstow took seven catches and stumpings in a match where Lancashire valiantly chased a target of 218. Nobody made a century in this latest roses instalment as Yorkshire still sought their first roses win of the 1970s. Only seventeen wickets fell in this entire match and neither team was bowled out once. Six Yorkshire batsmen were dismissed for a single figure score, but the Leeds weather still rescued the hapless hosts. Cope and Stevenson took seven wickets each as Yorkshire achieved an elusive victory against their old rivals. The Yorkshire openers Boycott and Lumb were both dismissed for a duck, but then the weather intervened. The visitors had been utterly dominant in the first half of this match, but Phil Carrick turned the match on its head. Dave Bairstow took eight catches and woeful Lancashire suffered eight ducks in this two-day humiliation. Chris Old and Graham Stevenson made a mockery of Lancashire's batting. Old also recorded a rare century. Neither team took a point or a wicket in this seventeen-overs washout. Chris Old had figures of eight overs for eight runs. Lancashire were so poor that even Boycott took four of their wickets! Old bowled forty-nine overs for a loss of 95 runs.